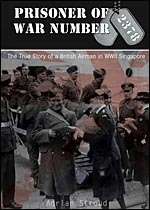 For three and a half years, Kenneth Stroud of the RAF was a Japanese POW during World War II, having been captured when Japan conquered Singapore and imprisoned on an Indonesian island. Ever since then, he’s lived with the memories of hunger, illness, and the brutality of a particularly cruel enemy. Amazingly, he harbors no ill will toward his captors. Adrian Stroud, Kenneth’s son, had heard the stories from his father’s wartime experience ever since he was a boy. At the urging of friends and family, Adrian has written and published Prisoner of War 2378, which details his father’s recollection of his wartime experience as a POW, including a diary the RAF soldier secretly wrote in his final days in the prison camp. Anyone familiar with the atrocities the Japanese committed during the war will appreciate this very personal account of history. Adrian Stroud deserves a huge amount of credit for not only taking the time to transcribe his father’s diary and detail his father’s (living) memory of a horrific POW experience, but includes his own childhood and adult experiences that demonstrate the lingering effects the war had on his own upbringing. As an example, the author writes, “my family was rigidly taught never to waste food.” As a child of World War II era parents myself, I understand the comment. The Greatest Generation appreciated everything they had and “waste” was simply unacceptable. The Prisoner of War 2378 is a mere 83 pages printed in a 5″ x 7″ format. Adrian Stroud’s small book is the finest example that I know of where a slice of history has been recorded without the volumes of historical facts that a historian would undoubtedly feel compelled to include. For anyone looking to preserve their family history, this book is a model of feasibility. The Prisoner of War 2378 by Adrian Stroud is available at Tate Publishing. 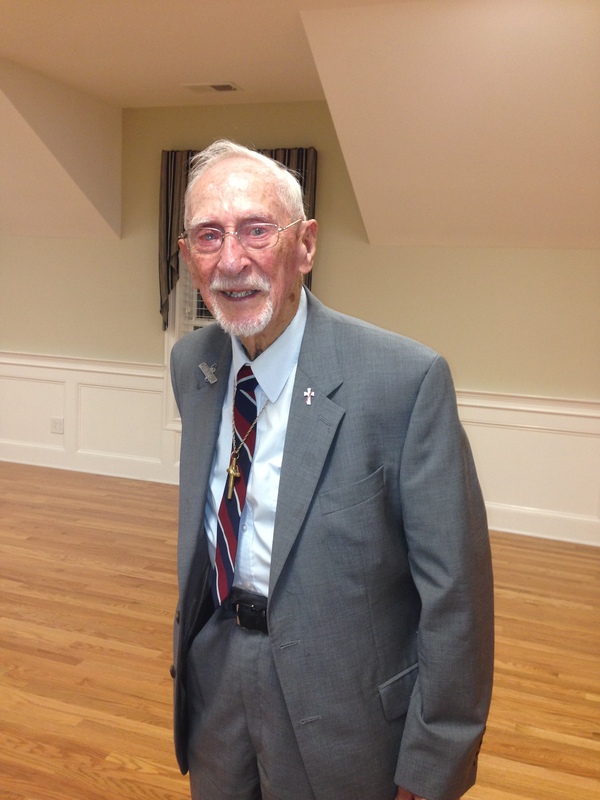 Ken Stroud, former POW, at a book signing event at St. Rose Church in Newtown, CT, 2013. Interesting blog. I found my mother’s war diaries when she died last year, and I am writing a biography of her combining the diaries, a memoir she wrote later, letters and ‘fictional’ scenes, based on dialogue from the diaries, to keep it all moving along. I have added links to some historical newsreels and music videos, for people reading the e-book version, just to add a flavor of the times. It’s not done yet., but I’m having fun! That sounds terrific! I’m glad to hear that you rescued the historical documents and will publish! Also good to hear from another writer in Fairfield County! Will look for this one to give as a Christmas present……….. Thanks yet again. « There’s no substitute for a paper manuscript!